Lowell traveled to Galileo tonight for our 4th section dual meet of the season and gave a dominating performance on the mat winning 90% of the matches wrestled. We were without a few of our starting wrestles due to various temporary ailments, so we had to forfeit four weight classes…meaning we were down 0-24 before the dual even started. With ten matches to wrestle and starting out down 24, we got the job done by winning nine of those ten matches…six of them by pin. This improves our section record to an undefeated 4-0. Next up for Lowell will be varsity, girls, and JV tournaments this weekend followed by a home dual against Washington next Wednesday, Feb. 1, 5:00pm in the Lowell gym. This entry was posted in Announcements and tagged 2016-17 Season on January 25, 2017 by coachwise. 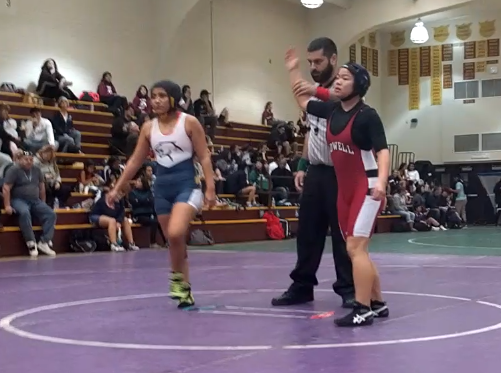 Seven Lowell girls competed at the Seaside Showdown tournament at Terra Nova HS in Pacifica this past Saturday. 40+ Central and North Coast Section schools competed. Sophomore Sara Quiñones won 1st place at 170lbs. This entry was posted in Announcements and tagged 2016-17 Season, Girls on January 23, 2017 by coachwise. It was a busy Saturday of tournament for Lowell Wrestling with everybody competing somewhere. We sent five boys to the Kermit Bankson Invitational at Albany HS. 46 North Coast, Central Coast, and SF Section schools competed. Senior Chris O’Neill earned his second first place varsity tournament finish of the season by going 4-0 and dominating his way through the 106lb weight class. This entry was posted in Announcements and tagged 2016-17 Season on January 23, 2017 by coachwise. We did a lot of traveling and a lot wrestling over the three day weekend with 28 Lowell wrestlers competing in four tournaments and wrestling over a hundred matches. In the end, we brought home 16 medals and an Outstanding Wrestler trophy. Senior Chris O’Neill was the tournament champion at 106lbs and received the Outstanding Wrestler award for winning all his matches by pin. This was Chris’ first ever first place finish at a varsity tournament. Senior Nicholas Woo took second place at 126lbs. Junior Sanchez O’Leary took 3rd place at 132lbs. Senior Marco Kwan took 4th place at 120lbs. 2) The varsity girls traveled to Lodi where they competed at the Tigers Ladies Challenge at Tokay HS. This was their toughest tournament of the season with 46 Sac-Joaquin and Central Section teams competing in the crucible. Sophomore Sarah Quiñones went 3-1 taking 7th place at varsity 170lbs. 3) The JV boys competed at the Albany Invitational. Seven girls competed at The Amazon tournament at Pittsburg HS. Sophomore Sarah Quiñones took 1st place at varsity 170lbs. This was a very busy weekend for us. This week is a bye week for us in the SF Section, but next Saturday we will compete at varsity, girls and JV tournaments in Albany, Hollister, and Livermore. This entry was posted in Announcements and tagged 2016-17 Season, Girls on January 16, 2017 by coachwise. 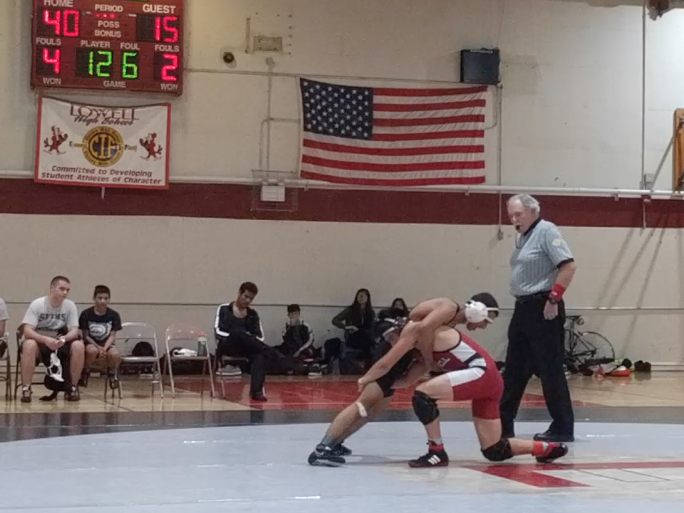 Lowell took 11 of its 30 wrestlers to Balboa for its third dual meet of the season and emerged 51-18 victors. There were eight matches wrestled with Lowell winning six…five of those by pin. 2nd year sophomore Jonah Nascimento started things off with a third period pin at 132lbs. 3rd year junior, Sanchez O’Leary, got a pin in just 54 seconds at 138lbs. 1st year frosh, Paul “PJ” O’Leary, filling in for our injured 145lb starter and wrestling in his first varsity match ever secured a 3rd period pin. And 1st year senior, Bryant Nguyen also got a 3rd period pin at 220lbs. We also wrestled two JV matches both of which Lowell won by pin. The first was by PJ O’Leary at 138lbs and the second by 1st year sophomore, Maxwell Song. With today’s win, Lowell’s section record is 3-0. Next up for Lowell will be three tournaments this Saturday with the varsity boys traveling to Clayton Valley for their invitational; the girls traveling to Tokay HS in Lodi for a very tough Sac-Joaquin, North Coast, and Central section-stacked tournament; and the JV traveling to Albany HS for their JV invitational. 29 of Lowell’s 30 wrestlers will be competing this Saturday. This entry was posted in Announcements and tagged 2016-17 Season on January 11, 2017 by coachwise. Lowell Wrestling began its section competition with a 3-way dual against Lincoln and SF International. Lowell won both duals decisively winning 14 of 20 matches wrestled and with a cumulative score of 102-43. 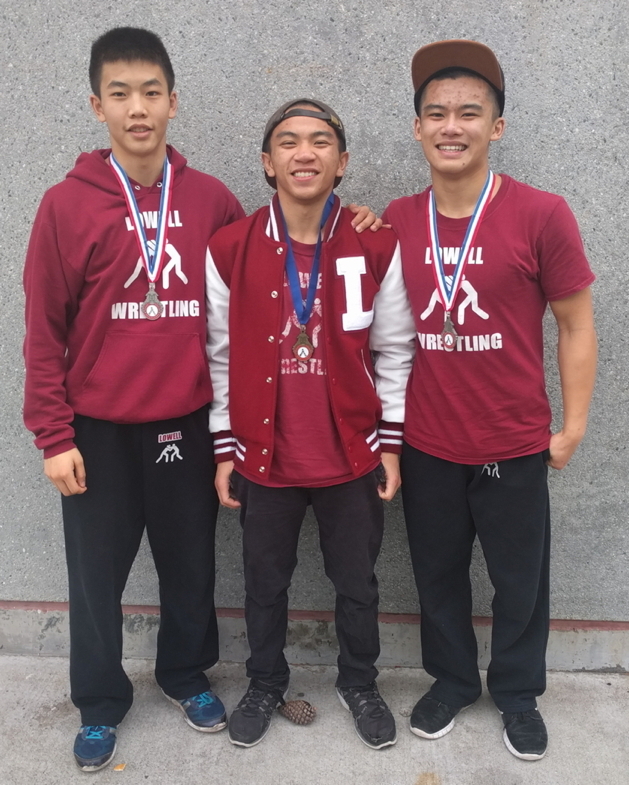 The first dual was against SF International which Lowell won 54-15 racking up three pins in the process by senior, Nick Woo at 126 lbs, 1st-year sophomore, Maxwell Song at 152 lbs, and 1st-year senior, Byant Nguyen at 220 lbs. The second dual against Lincoln ended with Lowell scoring 48 and Lincoln 28. 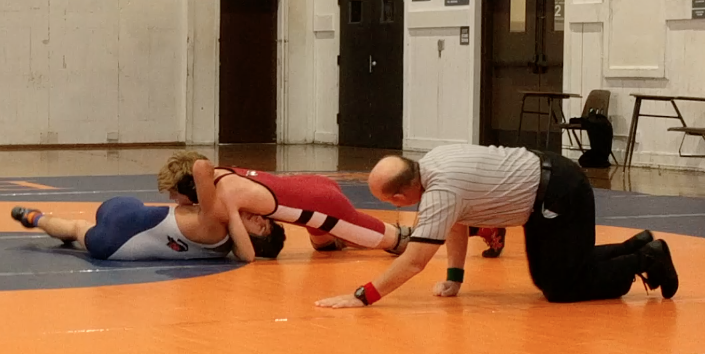 Five Lowell wrestlers pinned their opponents: Chris O’Neill (senior/106 lbs) with a 1st period pin; Marco Kwan (senior/120 lbs) with a 2nd period pin; Nick Woo (senior/126 lbs with a 1st period pin; Jonah Nascimento (soph/138 lbs) with a 1st period pin; Ryan Chan (junior/145 lbs) with a first period pin. 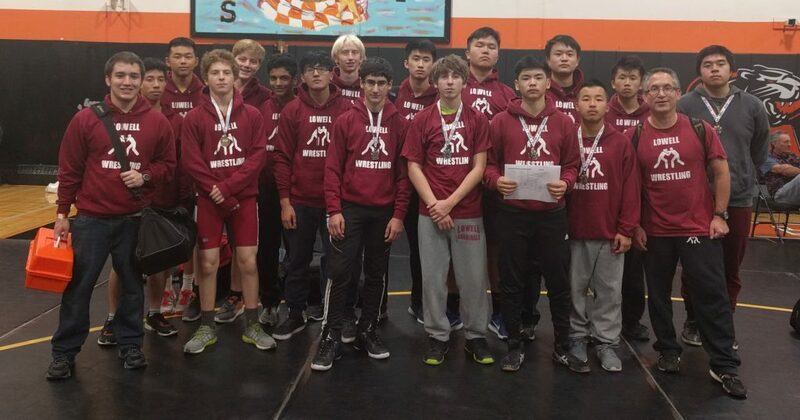 In addition, Lowell went six for six in JV matches against Lincoln with all wins coming by pin from: Natalie Fong (soph/113 lbs), Slavik Gevorkyan (soph/132 lbs), Daniela Romo (frosh/138 lbs), Paul “PJ” O’Leary (frosh/152 lbs), Maxwell Song (soph/160 lbs), and Song Zhao (frosh/220 lbs). Next up for Lowell will be a varsity tournament at Granada HS (Livermore) this Saturday, Jan. 7th followed by another 3-way dual against Balboa and O’Connell next Wednesday, Jan. 11 at O’Connell. This entry was posted in Announcements and tagged 2016-17 Season on January 5, 2017 by coachwise. 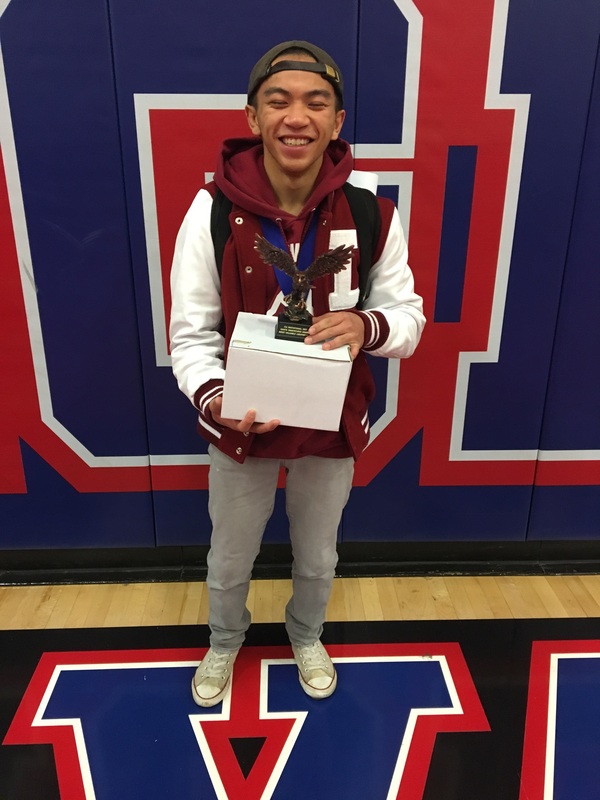 Lowell sent 13 wrestlers to the Clayton Valley Shootout JV wrestling tournament at Clayton Valley HS in Concord on Saturday, Dec. 10. Thirty-three mostly North Coast Section schools competed. Lowell finished the day with: four 1st place; two 2nd place; and one 3rd place finish. This entry was posted in Announcements and tagged 2016-17 Season on December 11, 2016 by coachwise. 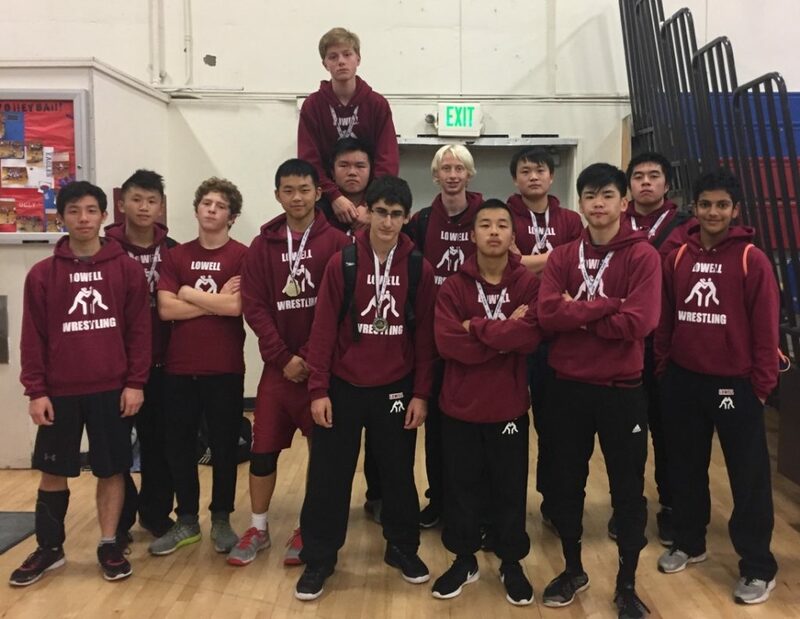 The Lowell JV wrestlers competed at the Peninsula Invitational JV wrestling tournament this past Friday, Dec. 2. 15 Lowell wrestlers competed. It was the first wrestling competition ever for eleven of those fifteen who before this school year had probably never seen a wrestling mat in their lives. This was the first wrestling competition ever for Slavik, Michael, Bryant, and Ali. This entry was posted in Announcements and tagged 2016-17 Season on December 4, 2016 by coachwise. 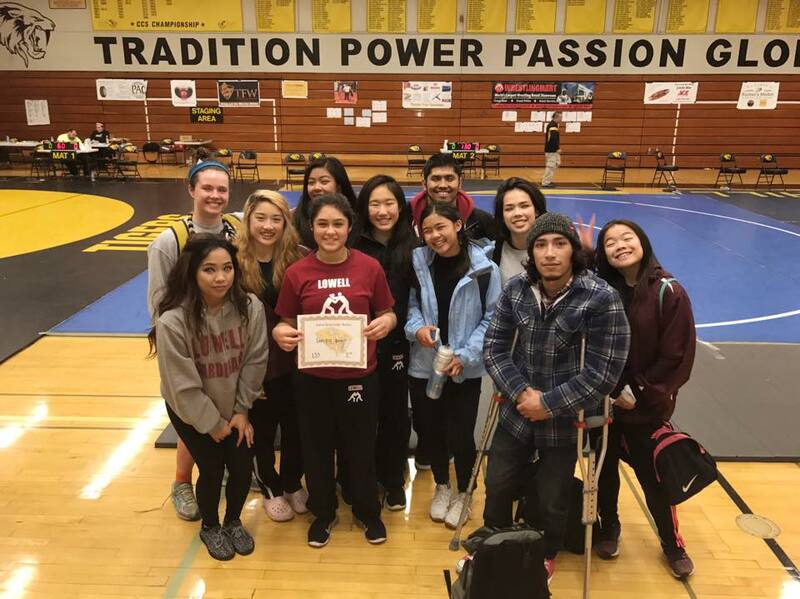 The Lowell girl wrestlers traveled to the Bear Bash tournament at Menlo-Atherton HS Saturday. Six Lowell girls competed in a field of 18 CCS and NCS schools. Tianna Siu (senior) took 2nd place in the 131 lb weight class. Her wins included a gutsy 3rd period come from behind pin in her final match. Anne Chamberlain (senior) took 2nd at 126 lbs, and Brittney Dare (junior) took second place at 121 lbs putting on several exciting performances including defeating the CCS #2 ranked girl at 121 lbs. This is the first tournament of the season for the girls with seven more to go between now and February on a quest for CCS and then CIF State championships. This entry was posted in Announcements and tagged 2016-17 Season, Girls on December 4, 2016 by coachwise. Lowell Wrestling will have its mandatory CIF Section weight assessment (aka “hydration”) testing done on Saturday, Nov. 5, 8:30am. We will meet in the SOTA upper parking lot no later than 7:45 am on Nov. 5. PLEASE BE ON TIME! There is a CIF Wrestling Weight Certification form in the Forms section of this site that each of you needs to print out. You and a parent/guardian should read it and return page three (signed by both of you) to me ASAP. Prior to taking the assessment, it’s important that you are well hydrated…meaning you have lots of water in your system. You should start drinking lots of water starting Friday (Nov. 4) after practice and continuing drinking water when you wake up early Saturday morning. Refrain from sodas and caffeinated drinks during this time. Your urine should look clear as water when you go in for your weight assessment. Please submit the signed weight management parent permission form to me no later than 6pm Wednesday, Nov. 2. This entry was posted in Announcements and tagged 2016-17 Season on October 22, 2016 by coachwise.